A dinner meeting was held Saturday between Trump and Xi away from the G20 summit in Buenos Aires. A breakthrough result from the meeting was fentanyl’s new designation. Which included Us agreeing to maintain the 10% tariffs on $200 billion worth of Chinese goods, instead of raising them to 25%. The very powerful drug Fentanyl is 50 to 100 times more potent than morphine and 30 to 50 times more potent than heroin. Fentanyl is a powerful opiate that is often used to treat chronic pain in patients. This includes chronic cancer pain or pain from severe migraines. Fentanyl is typically used when pain is extremely severe and nothing else worked. The US Centers for Disease Control and Prevention claims, 5,500 people died of synthetic opioid overdoses in 2014, most of them related to fentanyl. That’s an 80% increase over the number of deaths reported in 2013. A national alert was released last year by the Drug Enforcement Administration states that “drug incidents and overdoses related to fentanyl are occurring at an alarming rate.” According to records in 2013, the Drug Enforcement Administration made 942 fentanyl seizures; in 2014, it made 3,344. The accusations stemmed from officers in Washington believing China to be the Primary source of fentanyl found within US borders, this coming after a 2017 US Congressional report citing law enforcement and drug investigators. 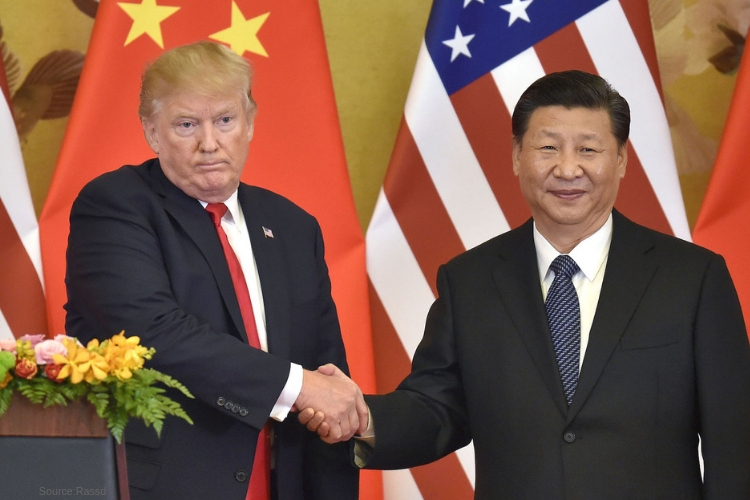 Last year the President declared the opioid crisis a public health emergency in the United States bringing up the issue with Xi during their first meeting in November 2017 held over in Beijing. The Recover is an unbiased substance abuse and mental health news provider. Helping individuals looking for the right treatment programs in their area. Also providing information on Washington, D.C. drug rehab centers for addiction recovery.